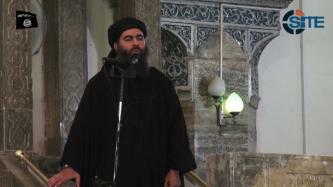 In his first speech in nearly a year, Islamic State (IS) leader Abu Bakr al-Baghdadi vowed "dark days" to the group's enemies in Iraq and Syria, inciting for lone-wolf attacks in the West, and urged Muslims to rise up in Jordan and Saudi Arabia. 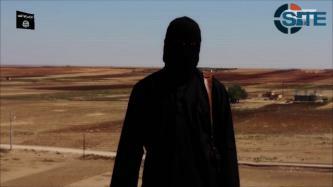 The Islamic State (IS) released a speech from its spokesman, Abu al-Hassan al-Muhajir, disputing the narrative by U.S. President Donald Trump that victory has been achieved over the groupand that it is defeated, and threatening the upcoming Iraqi elections. 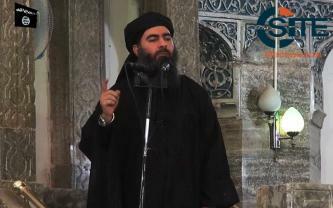 IS Leader Abu Bakr al-Baghdadi Rallies Fighters in Audio, Calls to Attack Media Centers and HQs of "Ideological War"
Islamic State (IS) leader Abu Bakr al-Baghdadi rallied his fighters in his first audio speech since November 2016, and called on supporters all over the world to make "the disbeliever media centers and the headquarters of their ideological wars among your targets". 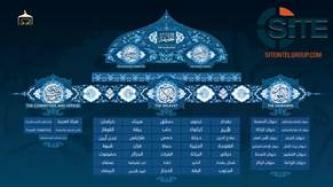 Abu al-Hassan al-Muhajir, the spokesman for the Islamic State (IS), called on lone wolves in America, Australia, Europe, and Russia to emulate those who came before them and attack, and rallied fighters to persevere amidst the trials of war and multitude of enemies in a speech issued for Ramadan. The Islamic State (IS) released an audio speech from its leader, Abu Bakr al-Baghdadi, rallying his fighters, particularly those in Mosul, and calling for attacks in Saudi Arabia and Turkey. The Islamic State (IS) released a video focusing on the structure of its "Caliphate" and reviewing the work of its provinces and committees inside and outside Iraq and Syria. The Islamic State (IS) released a speech attributed to IS spokesman Abu Muhammad al-‘Adnani condemning U.S. foreign policy and promising harsh treatment toward the group’s rivals. 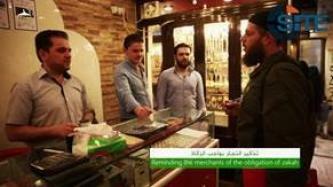 Islamic State (IS) spokesman Abu Muhammad al-‘Adnani promising increased rewards for those that wage jihad during Ramadan, and also offering a repentance deal to tribes in the Iraqi city of Haditha. The Islamic State (IS) released a video focusing on the religious obligation of Zakat, or compulsory charity, taken from people in the territories it holds, and discussing in minute detail the Zakat collected on personal wealth, livestock, harvested grains, sunken treasure, and trade goods. The Islamic State (IS) released an audio speech from its official spokesman, Abu Muhammad al-‘Adnani, threatening enemies from among Jews and “Crusaders” to convert or be subjugated, and announcing the IS’ acceptance of the pledge of allegiance from Boko Haram. 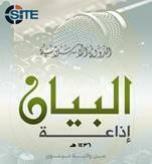 In its al-Bayan Radio broadcast for February 4, 2015, the Islamic State (IS) justified the immolation of Jordanian pilot Mu’adh al-Kasasibah as punishment for his allegedly burning Muslims with his plane. 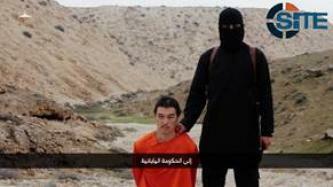 The Islamic State (IS) released a video of beheading Japanese hostage Kenji Goto Jogo. The Islamic State (IS) released an audio speech from its spokesman, Abu Muhammad al-‘Adnani, renewing calls for lone-wolf attacks, and rally fighters and acknowledging the pledge of allegiance from various jihadi groups in the Afghanistan-Pakistan region. 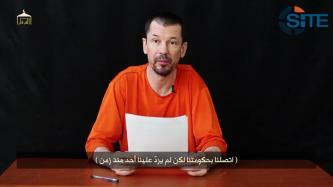 In the sixth episode of the Islamic State’s (IS) video series “Lend Me Your Ears,” British captive John Cantlie discussed a botched U.S. raid to free him and other prisoners, and lamented that the U.S. negotiated with the Afghan Taliban to free Bowe Bergdahl but will not do so for him and others. The Islamic State (IS) released a video showing the head of American citizen Peter Kassig after it was severed from his body, with the British executor who killed other American and British citizens challenging the U.S. to send ground troops into Iraq and Syria. The Islamic State (IS) released a new audio speech from its leader, Abu Bakr al-Baghdadi, in which he rallied his forces, condemned coalition intervention in Syria, and called for further recruitment of fighters. 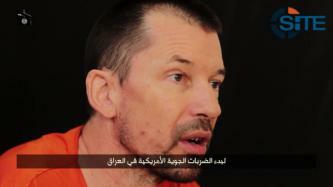 In the fifth episode of the Islamic State’s (IS) video series “Lend Me Your Ears,” British captive John Cantlie discussed his experience with fellow prisoners from America and Europe, including fighters waterboarding them, and the “uncomfortable truth” about the U.S. and Britain not negotiating for their release. 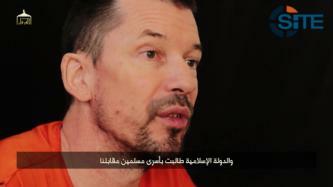 In the fourth episode of the Islamic State’s (IS) video series “Lend Me Your Years,” British captive John Cantlie discussed the Western media galvanizing public opinion in favor of war against the group.